My desk at the Media Lab. I put together a rig to document what runs across my desk, so hopefully more posts in the future! 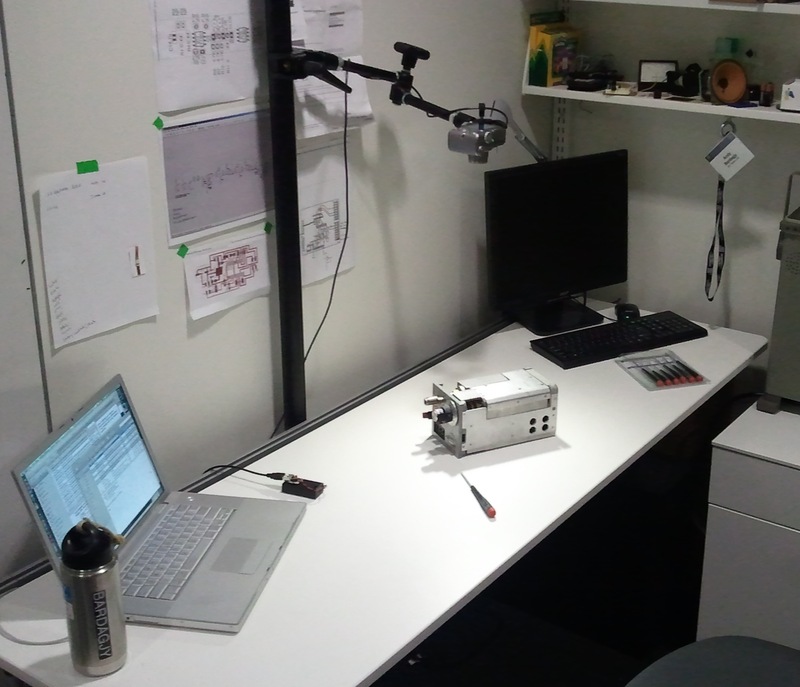 The setup is composed of a Magic Arm attached to an AutoPole with a Super Clamp. The camera I’m using is a Canon A710 IS modified with CHDK. 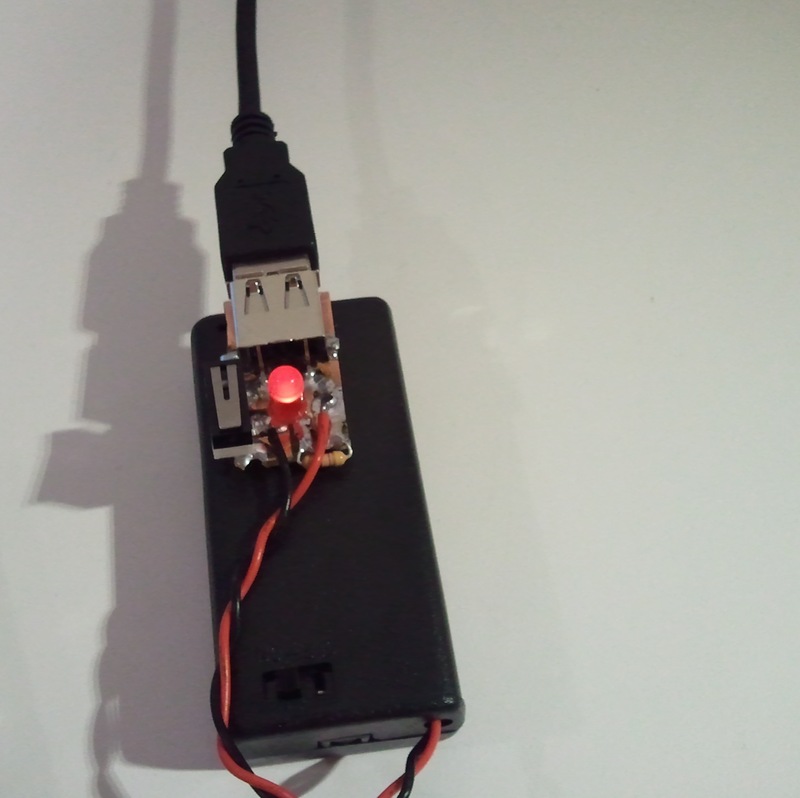 I built a simple USB remote release based on the schematics found on this page. I added a power LED so I hopefully don’t leave it on. I used my pocketknife to cut out a crude board in a scrap of copper clad FR1. Seems to work ok, should have a teardown up shortly using the new rig.